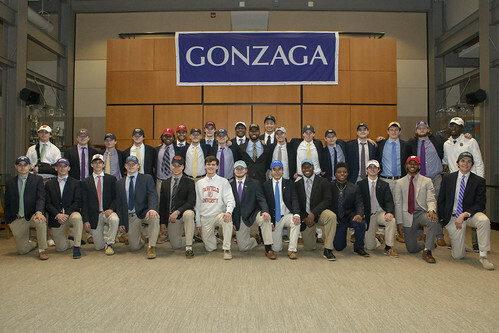 On Thursday, February 7, the Gonzaga Athletic Department held its annual Senior Signing Day Ceremony, when the school recognizes student-athletes who will play a sport in college at any level. "It is one of my favorite days of the year,” says Athletic Director Joe Reyda, adding that the event is a wonderful opportunity for the student-athletes to thank their parents, coaches, teachers, and teammates. It's also a chance for Gonzaga to recognize the students for all of their hard work in both the classroom and on the playing field. Click the image below to see some great photos from the ceremony. Congratulations to all!